Gotham City, in this upcoming installment, is apparently going to be larger and improved. The Arkham City prison is open aired. And the actual city of Gotham is scaled to five times bigger than the Arkham City prison! The actual game is said to take place in the middle of Gotham City. And this area has been split into three areas. The industrial shipping yard and Chinatown are two of the districts that can be found in the layout. Also, note that the Oracle (who is Barbara Gordon, Commissioner James Gordon’s daughter, and a hacker who secretly aids the Batman in this installment) has set up her HQ in the Gotham Clock Tower (which we have been inclined to believe doubles as a sort of Batcave as well). A lot of the old gadgets from the previous chapters of the game has been retained for this chapter as well (such as the Batarangs, line-launcher, etc.). Additionally, gamers can get the Batman to fly through Gotham City by using his cape for wingspan. These flights are to be longer and better sustained (in terms of the Batman gliding through the air) in this latest chapter of the video game series. This means that the Batman can also dive deeper and climb steeper heights now. He can also use some of his gadgets – like the Batarang, for instance – while he is gliding. The grapnel gun also allows the Batman to immediately switch the direction of glide in the middle of the glide. The Batman is also able to combine attacks now, as well as throw one enemy into another for more damage. However, all enemies are able to charge and tackle now. Additionally, the Batmobile can crash through objects, fire missiles at enemy vehicles, activate speed boosts and jumps, as well as rotate on a single spot. 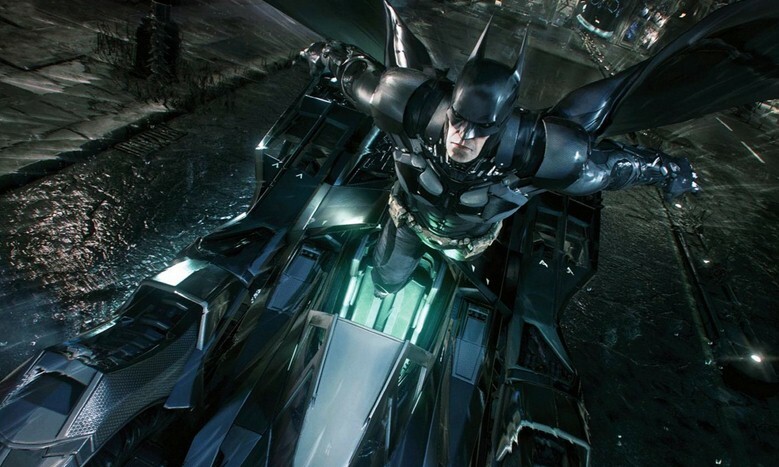 The ejection feature in the Batmobile also allows the Batman to immediately go into a glide. The Batmobile can even be upgraded during the game. The Batmobile has both a “Pursuit” and a “Battle” mode. In the “Battle” mode, the vehicle transforms into its tank form and can be used to attack and rage a battle against enemies. In the “Pursuit” mode, the Batmobile is the car we’re more familiar with. And players can use the “Pursuit” mode to simply get from place to place to complete specific goals within the game, and to complete various driving tasks.